Xuelei Hu is a Research Fellow since 2013 in the School of Information Technology and Electrical Engineering at the University of Queensland. 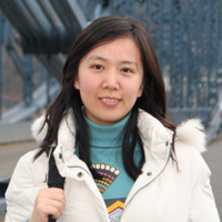 Xuelei received her Ph.D. in Computer Science and Engineering from the Chinese University of Hong Kong, M.Phil. in Pattern Recognition and Intelligence System and B.E. in Computer Science and Engineering from Nanjing University of Science and Technology. In 2005, she joined the academics of the School of Computer Science and Engineering at Nanjing University of Science and Technology. From Feb. 2009 to Feb. 2010, she worked as a Visiting Postdoctoral Fellow in the Robotics Institute at Carnegie Mellon University. Her research interests lie in the area of machine learning, ranging from theory to application, with a recent focus on developing advanced data analysis techniques for healthcare problems. She has collaborated actively with researchers in other disciplines, particularly medicine, statistics, computer vision, robotics, and software engineering. Xia, Rui, Wang, Tao, Hu, Xuelei, Li, Shoushan and Zong, Chengqing (2013). Dual training and dual prediction for polarity classification. In: 51st Annual Meeting of the Association for Computational Linguistics (ACL 2013), Soﬁa, Bulgaria, (). 4-9 August 2013. Xia, Rui, Hu, Xuelei, Lu, Jianfeng, Yang, Jian and Zong, Chengqing (2013). Instance selection and instance weighting for cross-domain sentiment classification via PU learning. In: Francesca Rossi, Proceedings of the Twenty-Third international Joint Conference on Artificial Intelligence. Twenty-third International Conference on Artificial Intelligence (IJCAI-13), Beijiing, China, (2176-2182). 3-9 August 2013. Hu, Xuelei and Wang, Yuanjian (2011). Active learning with boosting for image based obstacledetection. In: Xia Deshen and Philippe Montesinos, Proceedings of the Third International Workshop on IMage Analysis: IWIA 2010. 3rd International Workshop on Image Analysis (IWIA 2010), Nîmes, France, (163-172). 24-27 August 2010. Note for students: Dr Shirley Hu is not currently available to take on new students.